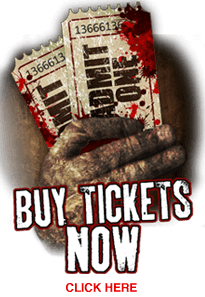 Lake Hickory Haunts is an amazingly scary and entertaining haunted house attraction that has been voted and ranked the #1 haunted house attraction in NC & the Carolina's by many different sources. Lake Hickory Haunts incorporates the use of many different special FX and technology, along with the industries leading monsters/actors and the very best customer service! Together, this creates the most fun, entertaining, and fright filled haunted house experience imaginable! Lake Hickory Haunts is an ever growing and ever changing action packed guided skit, and self-guided walk-through haunt experience! Lake Hickory Haunts has everything a haunt-goer could want and imagine, and much more! If youve ever contemplated visiting Lake Hickory Haunts, but have yet to actually venture out to do so - DO IT! I guarantee you theres no place like it in North Carolina or elsewhere. In just seven seasons, theyve evolved into the best scream park around, offering an experience youll be hard-pressed to find anywhere else. From the second you make contact with delightful reps at an awesomely-decorated ticket booth to a harrowing breathless escape back into their midway, you know youre experiencing something special. Their sets transport you into another world altogether, combining unique scents and visuals with harrowing interactive elements (if you dont believe me, just wait til you get to their new Descent attraction) that launch your experience into a whole other stratosphere. Combine that with actors who are just as skilled at dragging a scream out of you as they are a good laugh, and youre in for an amazing night of frights you wont soon forget. On that same note, youll find that the makeup and costuming here will blow your mind! If the idea of waiting in a midway gives you pause, fear not. The midway here promotes an amazing welcoming family atmosphere, with interesting experiences and games that serve to prep you well for the horrors waiting in the main event, not to mention tasty concessions and fire pits where fresh-chilled victims can warm up and swap stories. Their midway also serves as a stage for the coolest monster parade around, and provides plenty of room for monsters to stalk and tease their prey before they face the haunt itself! I also have to note the amazing customer service here. The staff, from the owner himself to the parking attendants and everyone in between, go out of their way to make you feel so welcome. The level of hospitality here is off the charts - these folks love serving their community as much as they love scaring it, and it shows. Bottom line - you NEED to experience this place. Lake Hickory Haunts is a must-see at any cost! Lake Hickory Haunts is seriously THE BEST haunt on the East Coast. If you're looking for a great night filled with entertaining scares and astonishing sets, this is the place! I've been every year for 4 years now and it gets way better every year, this year is amazing! I will definitely be back. Thanks Lake Hickory Haunts! If you've never experienced Lake Hickory Haunts before, you've got to see it for yourself! The tour is like more than an hour to go through. They also have SO many different attractions you won;t see anywhere else... Like an underground attraction, a 4D Asylum Thrill Ride, Extinction, a 3D Circus... and A lot more! Also, the lake being in the center of everything makes it that much more amazing! I will see you soon Lake Hickory Haunts... and I'm prepared to be scared! Lake Hickory Haunts is my favorite haunt in the US... What stands out to me the most is the fact tthat they have so many innovative sets and special FX that cannot be seen anywhere else. I will be going every season and I recommend to everyone! I've been in the haunt business for 27 years and these guys take the cake! They really care about their guests and providing a quality haunt atmosphere. Their signature characters like Boss, Lilith, Cannabelle and Chuckles are fantastically well thought out and excellently acted. If you're looking for a great time, go check them out! Lake Hickory Haunts is the Best! Lake Hickory Haunts makes so many changes every year! It's a scary fun place and you can tell they truly care about their fans and customers... My #1 pick! Most amazing haunted attraction I have ever experienced! Lake Hickory Haunts is a must see!! !